Today we proudly say hello to the great teams from Heidelberg and Neckarsulmer Sport Union! In the teams we will see fast swimmers like the european gold medalist in freestyle Clemens Rapp, the Swim Open audience favorite medleygiant Philip Heinz and many other of the fastest great german swimmers. 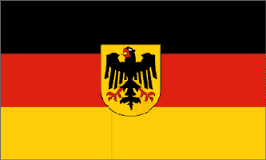 Willkommen Germany!